35. What Does Christianity’s Frenzied Opposition to Christ Show? Do Those Who Believe in Almighty God Preach the Gospel for Money? We are now in the last days, the prophecies of the Lord’s return have basically been fulfilled, and thousands upon thousands of pious believers are fervently hoping for the Lord Jesus’ return. At the same time, however, Eastern Lightning has openly given testimony that the Lord Jesus has already returned—that is, Almighty God, the incarnation of the last days—and that He has already done His work of judgment beginning with God’s house. The emergence of Eastern Lightning has shaken the whole religious world as well as all those who sincerely believe in God and thirst for the truth. Through seeking and investigating the words and work of Almighty God, many people confirm that Almighty God is the returned Lord Jesus, and one after another they come before Almighty God. 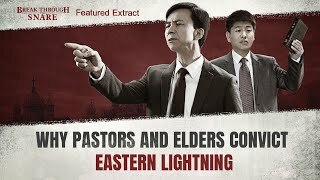 This has thrown pastors and elders of the religious world as well as the CCP government into a panic; they collude together to suppress and outlaw Eastern Lightning, fabricating many rumors and savagely condemning and vilifying Eastern Lightning as heresy. They do all they can to obstruct and harass sincere believers who want to seek and investigate the appearance and work of Almighty God in the last days. The historical tragedy of the Jewish religious world allying itself with the Roman government to cruelly oppress the Lord Jesus is being played out again. 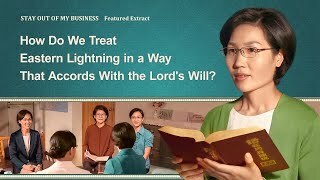 Opinions vary as to whether or not Eastern Lightning is the return of the Lord Jesus, and whether or not it is God’s work; some people follow along with the pastors and elders of the religious world in their denial and condemnation, but there are also some who believe Eastern Lightning is related to the Lord Jesus’ prophecy in the Bible that says, “For as the lightning comes out of the east, and shines even to the west; so shall also the coming of the Son of man be” (Matthew 24:27), and that it is connected to the coming of the Son of man in the last days. So what really is the origin of Eastern Lightning? Is it God’s work, and what kind of mysteries does it hold? All who understand God’s work know that God’s work is ever new and unceasing in its onward progression. For example, in the Age of Law God worked through the Spirit and issued the laws that would guide man’s lives on earth. Then, in the Age of Grace, God was incarnated and appeared as the Son of man to do His work, healing the sick and casting out demons, performing many miraculous deeds and expressing the way of “Repent: for the kingdom of heaven is at hand” (Matthew 4:17). He was then nailed upon the cross and completed His work to redeem all mankind. But people don’t know God’s work, and on top of that have an arrogant satanic nature, and are all very self-righteous, rigid and stubborn. They also cling to notions and imaginings, to the point where they even become sick of the truth and hate the truth. This is why every time God performs a new work, He must suffer the wild blasphemy, persecution and condemnation of the religious world and the ruling powers. Those who spread and testify to God’s new work can also be slapped with all manner of charges and disparaging terms, as well as being persecuted. This fact is recorded in the New Testament: In order to save mankind from the danger of being punished for breaking laws they couldn’t keep, God was incarnated in the image of the Lord Jesus and began the work of redemption in the Age of Grace. When the Lord Jesus was performing His work in Judea, He performed many miraculous deeds, healed the sick and cast out demons, bestowed on man an abundance of grace and expressed many truths. This is sufficient to prove that the Lord Jesus was God Himself and that He was the Messiah the Israelites had so longed for. However, the Jewish chief priests, scribes and Pharisees stubbornly clung to religious notions and simply refused to believe that Jesus was the Messiah they had longed for for so long. On the contrary, they scoured the Bible for things to use against Jesus, they slandered, judged and condemned the Lord Jesus’ work as heresy (see Acts 24:14) and Jesus Himself as the “ringleader of the sect of the Nazarenes” (see Acts 24:5). They deceived and incited the Jewish people to condemn the Lord Jesus, and allied themselves with the Roman government to crucify Him. This is why the entire Jewish nation offended God’s disposition and suffered unprecedented destruction. It is evident that something that is condemned and resisted by the religious world and those in power is not necessarily wrong, that it is highly probable that it comes from God and is God’s work. Therefore, when investigating whether or not something is the work of God, one cannot make this judgment based on whether or not the religious world and those in power acknowledge or accept it. We can see from all the works done in the Age of Law and the Age of Grace that, to determine whether something is or is not the work of God, it mainly depends on whether what is expressed by that way is or is not the truth, whether or not it is something urgently needed by mankind at the present moment, and whether or not it is the work of the Holy Spirit. Only in this way can it be discerned whether or not it is the work of God in its essence—this is most crucial. Mankind’s corruption is growing deeper and deeper in the last days. Man is entirely under the control of their satanic, corrupt nature, often committing sins involuntarily, all living lives of sinning by day and confessing by night—they are living in unbearable pain. Mankind is becoming more and more distant from God, and their hope for attaining salvation is becoming more and more remote. In order to save man from this never-ending predicament of sinning and confessing, confessing and sinning, and so they can thoroughly cast off their satanic, corrupt dispositions as well as the constraints and fetters of sin so that they are cleansed and attain God’s salvation, God has once again become flesh to express the truth and judge corrupt mankind, and He performs a new stage of work to utterly purify and save mankind. This time, God was incarnated in the East of the world—in China—appearing and performing His work. He has brought the Age of Grace to a close and begun the Age of Kingdom, He has brought higher, more abundant truths than ever before, He has unveiled the mysteries of all of God’s works since the creation of the world, and He has bestowed upon man all the truths to cleanse and save them. Those who accept the work of Almighty God in the last days have come to understand many truths from the words expressed by Almighty God, they have clearly seen that Almighty God who expresses the truth in the last days is truly the returned Lord Jesus, they have gained clear knowledge of their own corrupt nature and the root cause of their sins, they have found the path to resolve their satanic and corrupt dispositions, and their hearts are bright and clear. By experiencing the judgment, chastisement, trials and refinement of God’s words, their life dispositions are constantly changing, they see the hope of salvation, and they have true knowledge of God’s good and holy essence as well as His righteous and inviolable disposition. They have a more practical understanding and knowledge of what God has and is, such as His almightiness, wisdom and authority, and they can all perceive that their belief in God is no longer empty or vague, but instead is becoming more and more real. They truly experience God as so dear and lovely, thus giving rise to a God-fearing heart. They have developed true obedience and consideration for God, and they all clearly appreciate that Almighty God’s work of judgment in the last days can indeed purify and save man. In the last days, the time of Almighty God’s work of judgment and purification is short and it moves very quickly, like a bolt of lightning. In just over two short decades, God’s gospel of the kingdom has spread throughout the Chinese mainland and has made a group of overcomers, and now the gospel is rapidly expanding to all nations, to all corners of the world. This precisely fulfills the Lord Jesus’ prophecy: “For as the lightning comes out of the east, and shines even to the west; so shall also the coming of the Son of man be” (Matthew 24:27). Nevertheless, the pastors and elders of the religious world stubbornly cling to religious notions and, faced with God’s new work that is at odds with man’s notions, not only do they not seek or investigate it, but they brandish the Bible and hunt for mistakes which they can use against God, recklessly judging and condemning Almighty God’s work in the last days, and vilifying The Church of Almighty God as the “Eastern Lightning sect” and as heresy. Their actions and deeds are cut from the same cloth as those of the Jewish chief priests, scribes and Pharisees when they condemned the Lord Jesus. That they can defy and attack God’s work in the last days so, and obstruct people from looking into and following God’s footsteps and obeying God’s work, does that not truly make them modern-day Pharisees who defy and condemn Christ? Is the essence of their actions not hating the truth and blaspheming against the Holy Spirit? The savage condemnation of Almighty God’s appearance and work by the leaders of the religious world also completely fulfills the Lord Jesus’ words when He prophesied His return: “For as the lightning, that lightens out of the one part under heaven, shines to the other part under heaven; so shall also the Son of man be in His day. But first must He suffer many things, and be rejected of this generation” (Luke 17:24–25). If Almighty God did not utter His word and unveil mysteries, then we would never understand what is truly meant by the prophecy “For as the lightning comes out of the east, and shines even to the west.” Almighty God says: “When all people take heed, when all things are renewed and revived, when every person submits to God without qualms, and is willing to shoulder the heavy responsibility of God’s burden—this is when the eastern lightning issues forth, illuminating all from the East to the West, terrifying all of earth with the arrival of this light; and at this moment, God once again begins His new life. 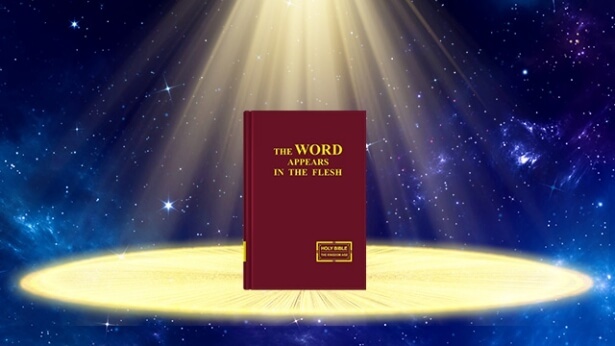 … Which is to say, in the world’s East, from when testimony to God Himself begins, to when He begins to work, to when divinity begins to wield sovereign power across the earth—this is the glowing shaft of the eastern lightning, which has ever shone out to the whole universe. When the countries on earth become the kingdom of Christ is when the whole universe is illuminated. Now is the time when the eastern lightning issues forth: God incarnate begins to work, and, furthermore, speaks directly in divinity. It can be said that when God begins to speak on earth is when the eastern lightning comes forth. More precisely, when living water flows from the throne—when the utterances from the throne begin—is precisely when the utterances of the seven Spirits formally begin” (“Interpretation of the Twelfth Utterance” in The Word Appears in the Flesh). “Throughout the universe I am doing My work, and in the East, thunderous crashes issue forth endlessly, shaking all nations and denominations. It is My voice that has led all men into the present. I shall cause all men to be conquered by My voice, to fall into this stream, and submit before Me, for I have long since reclaimed My glory from all the earth and issued it forth anew in the East. Who does not long to see My glory? Who does not anxiously await My return? Who does not thirst for My reappearance? Who does not pine for My loveliness? Who would not come to the light? Who would not look upon the richness of Canaan? Who does not long for the return of the Redeemer? Who does not adore the Great Almighty? My voice shall spread throughout the earth; I wish, facing My chosen people, to speak more words to them. Like the mighty thunders that shake the mountains and rivers, I speak My words to the whole universe and to mankind. Hence the words in My mouth have become man’s treasure, and all men cherish My words. The lightning flashes from the East all the way to the West. My words are such that man is loath to give them up and at the same time finds them unfathomable, but rejoices in them all the more. Like a newborn infant, all men are glad and joyful, celebrating My coming. By means of My voice, I shall bring all men before Me. Thenceforth, I shall formally enter into the race of men so that they will come to worship Me. With the glory that I radiate and the words in My mouth, I shall make it such that all men come before Me and see that the lightning flashes from the East…. For I have long since been resurrected, and have departed from mankind’s midst, and then reappeared with glory among men. I am He who was worshiped countless ages before now, and I am also the infant forsaken by the Israelites countless ages before now. Moreover, I am the all-glorious Almighty God of the present age!” (“The Seven Thunders Peal—Prophesying That the Gospel of the Kingdom Shall Spread Throughout the Universe” in The Word Appears in the Flesh). From the words of Almighty God we can see that God’s work and word of the last days are the lightning that shines forth from the East. The “lightning” is the great light, meaning the word of God, God’s way of judgment and chastisement in the last days. The phrase “comes out of the east” means coming from China, and “shines even to the west” means being spread to the West. Finally, “the coming of the Son of man” refers to God becoming flesh and first revealing Himself and starting His work in the East, in China. There He makes complete a group of people who truly know God, and they are the overcomers as prophesied in the Book of Revelation. Then through these people, the gospel of the last days is spread to the West, so that all may receive God’s salvation of the last days. These words have now been fulfilled—this is a fact that can be seen by everyone! 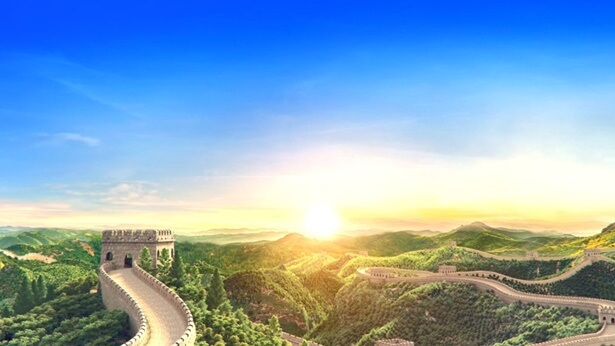 The lightning of the East (God’s work of judgment during the last days in China) can allow us to receive all the love and salvation that God bestows upon man, can allow us to know the true face of God, and gives rise to true reverence and worship of God within us. Just like a bolt of lightning, God’s word gives man light and hope. All those who accept the lightning of the East—God’s work of the last days—can all bear witness to this. At this point, I believe you all have a clear answer to the question of what the origin of Eastern Lightning is. God is the Creator of the heavens and earth and all things. God began His work of salvation because man was corrupted by Satan. God wishes to have all the people in the universe see His deeds, for all faiths to become one, worshiping the Creator, and to have all those who truly seek God’s appearance and follow His footsteps achieve purity and attain salvation. He will take these people who are in accord with God’s will into the kingdom to rest with Him. So, each and every of our brothers and sisters who truly believe in God and eagerly await the Lord Jesus’ return should set aside their religious notions and study the true way. Do not heed rumors and blindly oppose the true way, as it will end in the loss of God’s salvation in the last days. We must keep apace of the steps of God’s work, following God’s footsteps closely. This is the only way we can obtain His salvation in the end and be brought by God into His kingdom. Most pastors and elders in the religious community have done their utmost to judge and attack the Eastern Lightning through various means such as spreading rumors about and defaming the Eastern Lightning. ...But while under the frantic condemnation, resistance, and persecution by the CCP government and the religious world acting as two arms of Satan’s forces, why are there more and more believers from various denominations and sects accepting and following Almighty God? Which is: Anything that comes from God will thrive and anything that comes from man will surely decay. Each and every time the Eastern Lightning is mentioned, many brothers and sisters in the Lord feel perplexed: Why is it that as the religious community as a whole becomes increasingly desolate and degenerate, as each denomination becomes increasingly guarded and conservative in condemning and banishing the Eastern Lightning, not only is the Eastern Lightning not becoming desolate and ebbing, ...What each religious sect calls the Eastern Lightning is the returned Savior Jesus of the last days, riding down from the heavens upon a “white cloud”; it is God Himself who has returned to flesh and is real and actual!